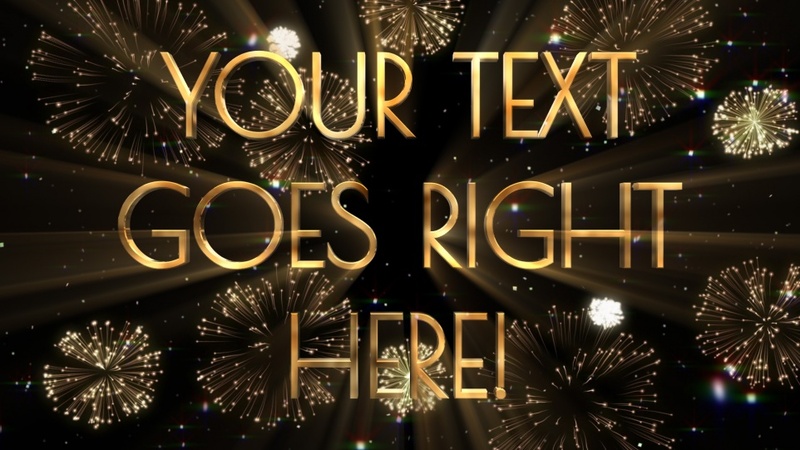 A 10 second countdown ends with your text appearing on screen in a burst of fireworks, surrounded by falling glitter. This art déco-style design is perfect for New Year's Eve celebrations but could also be used for other occasions. The last 30 seconds of the video can be seamlessly looped (you would need to use editing software to repeat that section). NOTE: The text in your finished video will be the same thickness as the text in the sample video above, but will look thinner in the preview above. The font used in this design is Poiret One. If you would like to use this in your own designs, it is available here.